Children are blessings in many families’ lives. They are also independent people who have to confront their own personal challenges while discovering their place in the world around them. Polaris Counseling understands what your children are struggling against, and we also recognize your concern as a parent. Polaris Counseling provides specialized child counseling for Oswego (IL), Montgomery (IL) and Plainfield (IL). As a group of fully licensed counselors and social workers, we help you and your child address the problem at hand and achieve a resolution. Maybe your child is battling with fallout from a divorce or struggling with anxiety, depression or substance abuse. Perhaps your son or daughter has low self-esteem or is acting out at home or in school or suffering from poor academic performance. Whatever your child is facing, we are here to help. Behavioral problems, low self-esteem and ADHD are among our main focus areas for child counseling. Behavioral problems can take many forms. They might reveal themselves as temper tantrums and aggression, drug and alcohol use/abuse, and truancy or promiscuity. You might feel like you’re losing control of the situation sometimes. We understand how scary it can be as a parent to see your child suffering and feel helpless in changing it. Take comfort in knowing we are here to work with your child, and we can help make a difference. Our child counseling treatment will help your child recognize and acknowledge destructive behaviors and develop a plan to stop them. You will also come to understand and manage your child’s behavior with even greater effect and clarity. Low self-esteem is a common problem among children today, especially in the face of intense peer pressure. Self-esteem refers to a collection of beliefs and feelings we have about ourselves. These beliefs affect our attitude, behavior and ability to regulate our emotions. They also influence our motivation and energy. Children with low self-esteem can be struggling for many different reasons. Our child counseling for Oswego (IL), Plainfield (IL) and Montgomery (IL) helps your child examine personal beliefs and feelings and reframe them in a healthier way. You and your partner will better understand the challenges facing your child and discover the best way to assist them in resolving those issues. A diagnosis of ADD (Attention Deficit Disorder) or ADHD (Attention Deficit Hyperactivity Disorder) can be difficult for children and their families. Some common symptoms are impulsivity, social difficulties, problems following direction, poor performance in school, an inability to stay on task, and forgetfulness, to name just a few. Through our child counseling for Plainfield, Oswego and Montgomery, families and children receive caring support as they adjust to a diagnosis of ADD or ADHD. We are here for you and your child. 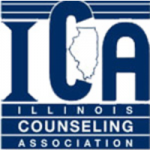 If you would like to learn more about our child counseling or an issue affecting your child, please contact us at (630) 779-0751.